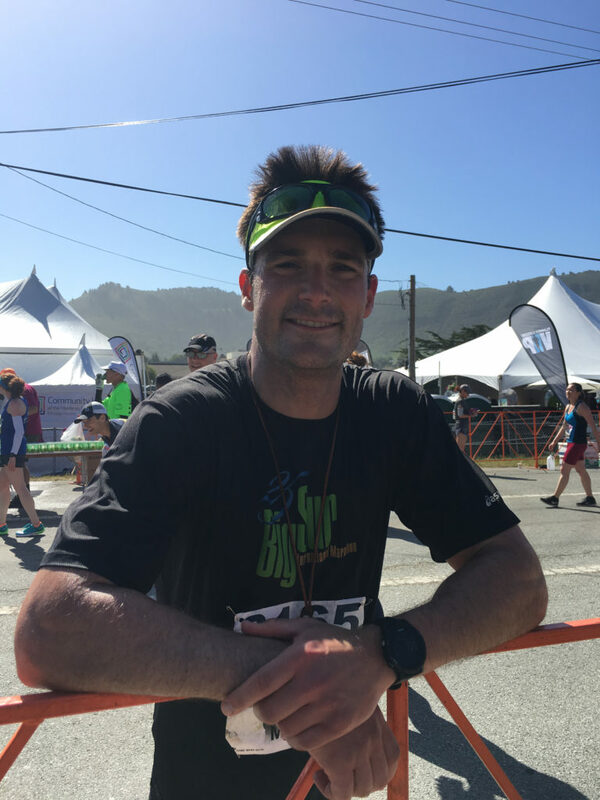 This was my 5th Big Sur Marathon. Last year, I had a really solid race and finished still feeling strong and that I could have given a bit more. So this year, I wanted to push a bit harder to see what would happen. 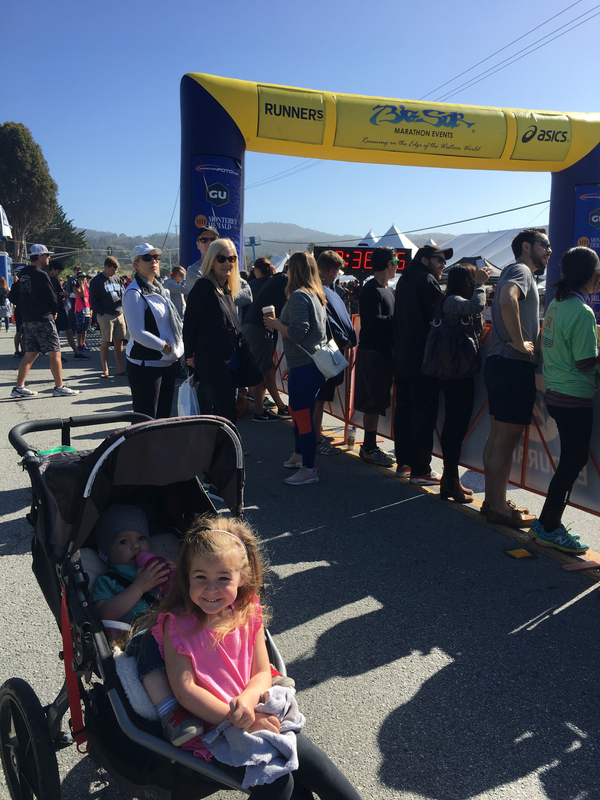 However, I had given Big Sur my lowest priority of all my races this year and really wanted to treat it as a big running day and not a major race. So my taper was closer to half a week, which still should have been enough to feel good on race morning. It had actually been a long time since I had done a long or hard run outside, as a lot of my training was on the treadmill this year and I wasn’t really confident that my treadmill workouts directly translated to real world running results. Oh the fun of waking up early for Big Sur. This race has the earliest morning of any race I have done, due to the hour long bus ride to the start (after the 30 minute drive from my house to the bus). So my alarm went off at 3:10am. I usually like round numbers when waking up, but I really wanted the extra 10 minutes of sleep. I quietly got on my run clothes, and then another layer of thick pants and a down jacket for the cold morning wait at the start line. I love how simple running is. No gear to worry about. Just shorts, shirt and shoes. Not like triathlon, where there is just a lot of “stuff” and logistical overhead. Coffee was already waiting for me downstairs and I packed 2 thermoses. One for the drive to the bus and a second for the ride on the bus. I also made myself a peanut butter and jelly sandwich as breakfast later in the morning. I drove to Carmel and parked on Ocean Ave, hoping to not get a parking ticket later in the day. The bus ride to the start was long and uneventful. It was still too dark to take in the views, so I just listened to a podcast the whole ride. This year, due to the Big Sur bridge damage, the buses dropped us off about half a mile before the start line, so we had to walk on the shoulder the rest of the way to the start. I took the opportunity to eat my sandwich and drink more coffee as I walked. 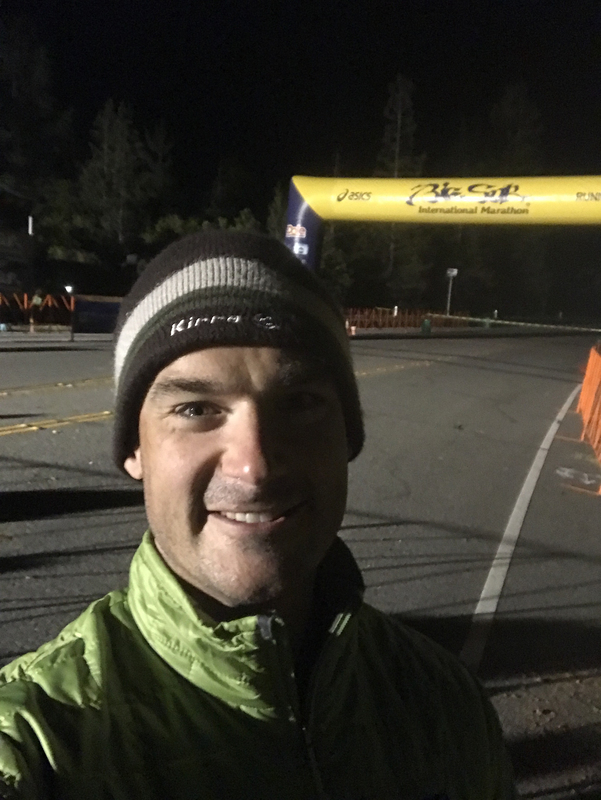 When we got to the start at the ranger station, it was still somewhat empty, so I found a good spot to sit and “camp out” for another hour and a half before the race start. I ended up just listening to podcasts and people watching most of the time. Sadly, I’m not used to sitting on the ground, so when I did finally stand up, both of my legs were dead asleep and locked up. I tried to wait till the last minute before taking off my jacket and pants and heading to the start line. I made it to the start just 5 minutes before the start time. When the race gun went off, I slowly followed the masses of people who took the entire width of the road. There wasn’t much room for going faster or slower than the people around me, so I just shortened my stride and tried not to trip on anyone. The first section of the race is a nice downhill through the redwoods. It’s a great opportunity to ease into the race while still holding good speed. The first 3 miles went by really fast. It was just an opportunity to enjoy the race, feel the excitement of all the runners and find your mental cadence. After 3-4 miles, I started looking at my watch to see where I was pace wise. I was hoping for about a 7:15 pace, but I was doing better than that, at around 7:00 pace and still feeling strong. For me, mile 6 is a nice reality check. It’s just a long enough distance to start feeling it, but reminds you how long the race is. Just 20 more miles! Actually, 20.2. Crazy. Luckily miles 6-9 went by fairly quick. The course has some nice long rollers, but you have great views of the ocean and the lighthouse in the distance. This is a nice time to enjoy the sun and start to mentally prepare for hurricane point coming up. The nice part of this year was the wind wasn’t too strong, there was maybe a light headwind, and the sun was out and visibility was great. Mile 9 is probably one of my favorite parts of the course. You crest this little hill and turn downhill to the right. And then you just see the huge climb ahead up to hurricane point. You also start feeling that strong headwind. I always just smile to myself at this point cause I know that climb is going to be a beast. It’s a great feeling. By the base of hurricane point, I was ahead of my goal pace. I was at an average of 7:03 pace for the course so far. I was really curious what was going to happen to that pace after the long climb. During the long slog up to hurricane point, I just tried to run behind people who were going about the same pace as me. The wind wasn’t too horrible, but it was strong enough where I could feel it slowing me down, so I did what I could to shield myself from it. I kept reminding myself of the false summit on this climb, but when I got to where I thought the top was, I turned the corner to see how much farther the real summit was. This climb is just cruel in such a long event. I finally made it to hurricane point, where the wind was starting to get bad. I looked at my watch to see my average pace had dropped to 7:17. Crazy. I tried to speed up on the long downhill to Bixby Bridge and to mile 13. Bixby Bridge is a lot of fun, because so many people stop to take pictures. I love how you can hear the piano music all the way from hurricane point, all the way down to the bridge. Crossing the bridge, my average pace was back down to where I wanted at 7:15. So I hit my lap button and hoped I could do another 7:15 the final 13 miles. I don’t remember much of mile 13-16. I just remember trying to get to mile 18. Mile 18 is usually where things start to get a bit messy, so I was hoping to get there in good shape. But at mile 16, I was starting to get pretty worn out. My pace was slowing and I knew I wasn’t going to be able to hold on to 7:15 pace much longer. Mile 16 is also hard, because you realize you still have 10 more miles about the same time you realize you’re feeling a bit beat up. But I finally made it to mile 18, where I set my new mental goal of mile 20, which would be only 10k from the finish. Things started to go south at mile 18 though. I started slowing a bit more and I felt my heart rate rising, which isn’t a good sign. I knew it was going to be tough, but I started really falling apart quickly. My forearms also started cramping up, which is usually what happens to me right before everything else starts cramping. I knew this was the first signs of dehydration and probably too late for me to do anything about it. By mile 20, I knew I was going to be a lot slower than last year. My pace had dropped to around 7:30 and I was really starting to struggle holding it. I was also starting to cramp in my inner thighs, which I thought was an odd place to cramp. I was now more focused on just getting to the finish without walking and not worried anymore about improving my time. The last 5 miles of the Big Sur marathon are pretty challenging. There still are a couple longer climbs, which are hard to tackle, when you’re pretty fatigued. Those climbs really took a toll on me. It turned in to more of an Ironman shuffle than a slow run. In fact, I don’t think I’ve ever gotten that bad, even in an Ironman. I was really falling apart and doing everything I could to not stop and walk. There were 2 climbs near the finish where I did have start walking for 10-15 seconds because I was cramping so bad. At least I was able to get going on my shuffle again. Even a shuffle is much faster than a slow walk. I was just counting down the last 3 miles to the finish. I obviously had executed something wrong to feel this bad during a marathon. I didn’t know what I had done wrong, but I just wanted to get over that finish line. I finally made it to the last mile, but my pace was over 8 minutes, and sometimes even slower going uphill. My average pace for the second half of the race was closer to 7:45, so I knew I’d be at around 7:30 for the full distance. While this is still a decent pace, it’s much slower than what I know I’m capable of, which was frustrating. I finally made it to the finish line and was able to stop and rest. 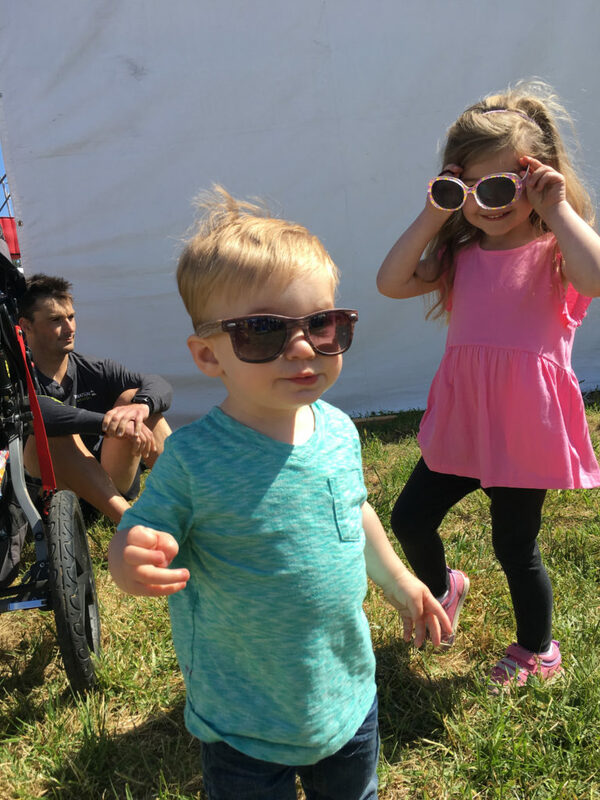 I talked to Camille and the kids a bit before walking through the food tent, grabbing a couple things, then meeting Camille to sit in the grass. 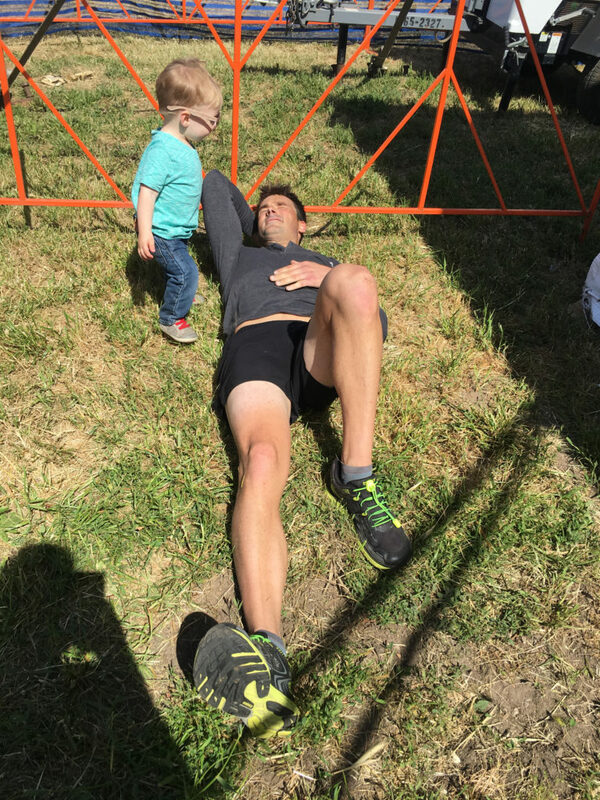 When I sat down after the race, I immediately started cramping…everywhere. I was cramping in places, I didn’t know had muscles. My abs cramped up, my toes, fingers, the back of my neck and throat. It was not a fun experience at all. I could barely talk to Camille as every time I moved, something else would cramp. I was in worse shape than any race I have done. It took a long time before I could gather enough energy to get up and walk back to the car. Even at home, I didn’t eat or drink anything as my body just couldn’t take it. Not until a nap that afternoon, did I start feeling better and was able to get in some food and fluid. I went into Big Sur thinking it was going to be a challenging race and training day, but I really got a giant slap in the face. More like a punch in the face. I didn’t think it was possible to execute this poorly on a relatively short race day (compared to Ironman). Live and learn I guess. 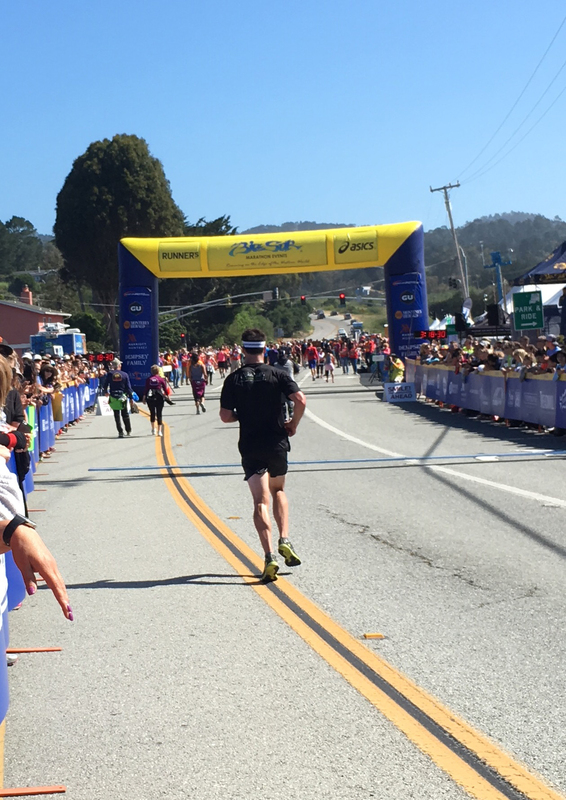 I’ll have to come back soon and see if I can finally beat Big Sur Marathon and not have it beat me. Being an analytical person, I really like to figure out what I did wrong. Race morning I weighed 172.9 when I woke up. After the race I weighed 164.2. So I lost 8.7 pounds during the race, or 3.95 Liters of water. That’s crazy, considering it was in the low 50’s for the race… so not very hot. There were 11 aid stations, and I took in a cup of Gatorade at 10 of those. Each cup was probably 6-8oz of fluid. So, say I took in 60-80oz of fluid or 18-24 oz per hour. That seems somewhat normal. But if I ended the race in deficit of 3.95 Liters, that means I should have taken in an additional 10oz per aid station. 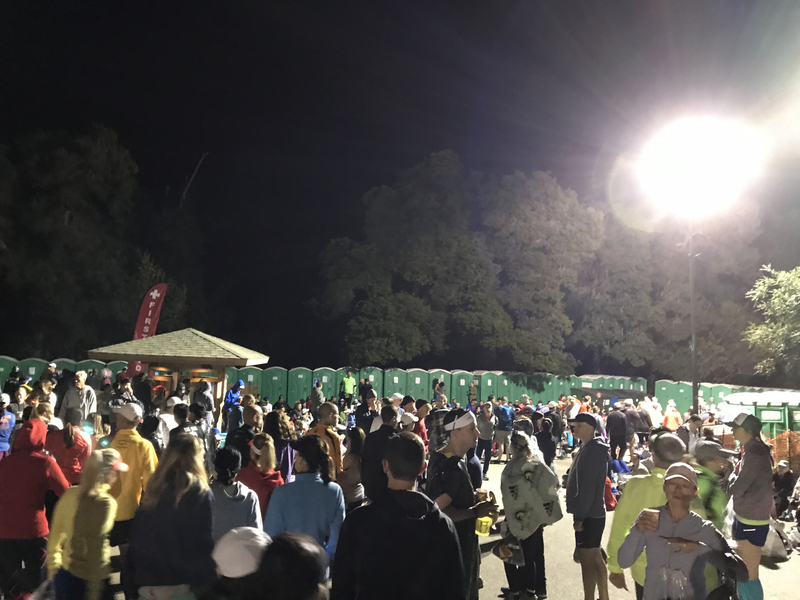 So basically, I should have grabbed a second cup at each aid station. I guess that’s only a sweat rate of 1.8L/hr, which is pretty low for me (I go over 3L/hr in the heat). Also, looking back at my heart rate for the race, I can see it decoupling from my pace later in the race. So my heart was really struggling with the lack of water in my body. So bottom line, I need to drink a lot more, even when it’s cool out. I wish there was a device that could tell me this on the fly. So that explains why I fell apart so horribly. Live and learn.